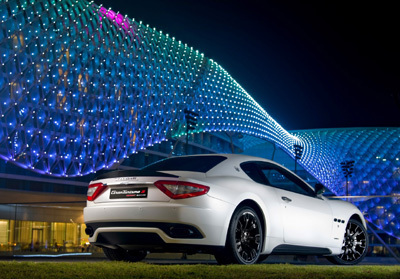 The limited-edition Maserati GranTurismo S MC Sport Line with Matt White “ICE” finishing was unveiled last week in the futuristic surroundings of the Yas Marina Circuit in Abu Dhabi, in a dedicated event for a selected number of Maserati customers of the Middle East. Only twelve of these limited-edition GranTurismos will be produced in Modena, all for Middle Eastern markets. The same number – twelve - are the world titles which make up the prestigious palmares of the MC12 in the FIA GT International Championship since 2005: two Constructors’ Cups (2005 and 2007), four Drivers’ Titles (Michael Bartels - Andrea Bertolini in 2006, Thomas Biagi in 2007, Michael Bartels - Andrea Bertolini in 2008 and 2009); five Teams’ Titles (from 2005 onwards uninterruptedly with the Vitaphone Racing Team); one Citation Cup in 2007 with gentleman driver Ben Aucott. Twelve are also the Middle Eastern cities where Maserati is present with a dedicated showroom: each car will feature a plaque with the name of the city to which it is committed. A limited and numbered edition of the GranTurismo S MC Sport Line, finished in “Matt Bianco Fuji” with eye-catching pearlescent nuances, will be dedicated to the Italian market. Only eleven customers in Italy will be able to sit behind the wheel of this exclusive car. Designed to enhance the sporty DNA of the Trident, the “MC Sport Line” options, available to Maserati clients worldwide, sum up the experience acquired on the track by the Maserati Corse racing department, whose contribution to the design of the functional components has been invaluable. 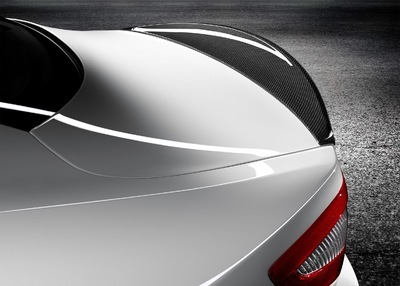 The world of motor racing also inspired Maserati’s designers when it came to styling, hence the extensive use of carbon fibre. An Aerodynamic Package is available within the “MC Sport Line” for the GranTurismo range and it includes double front winglets, rear lip spoiler, door sill inserts, black window surrounds, black exhaust pipes and body coloured door handles. Carbon fibre door mirrors and carbon finish door handles are also available as part of the Aerodynamic Package. These modifications, developed in the wind tunnel and tested at various circuits with the Maserati GranTurismo MC race car concept, increase the vertical load (Cz is reduced by 30%), allowing faster cornering and further improved traction coming out of the corner. 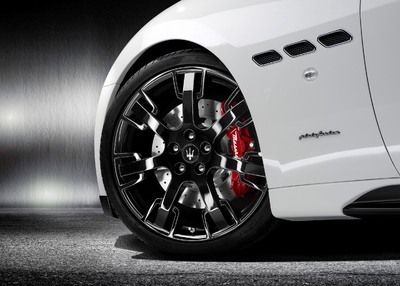 Several aesthetic features are available from the MC Sport Line option list, some of which can also be ordered for Quattroporte S and Sport GTS, including gloss black alloy wheels, interior carbon finishing and MC design aluminium racing pedals. A single rate sports suspension system is available on the Maserati GranTurismo S Automatic, whilst for the GranTurismo S, the highest performing model in the Maserati range, the MC suspension set up can be ordered. 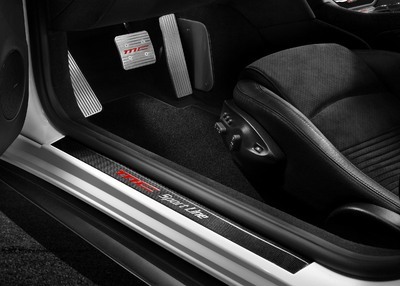 This includes lower ride height (by 10mm), stiffer dampers, larger-diameter anti-roll bars which minimise lateral load shifts (roll angle is reduced by 20%). Overall the car’s rigidity is increased by 16% at the front and 32% at the rear. The “MC Sport Line” suspension is combined with drilled, slotted front and rear disc brakes providing a more predictable and a more immediate braking action, meeting all the expectations of those in search of peak handling. Compared to the standard units, the Sport Line discs are drilled with 4 slots and 16 blind holes around their perimeter: the slots keep the brake pad clean, preventing loss of performance due to material detached by friction, while in case of rain their mechanical action helps to break up the film of water. Blind holes have been added on the inside and outside of the braking surface for more uniform wear of the brake pad and disc surfaces, keeping braking efficiency constant over time. The Maserati Stability Programme (MSP) has also been re-calibrated for the MC suspension, allowing the driver greater freedom of action.